Rounded to perfection, the 360 TV Stand features modern opaque black tempered glass shelving on a curvaceous chrome frame. An adjustable back mount accommodates a flat screen 15” - 50” with a weight capacity of 88 lbs. 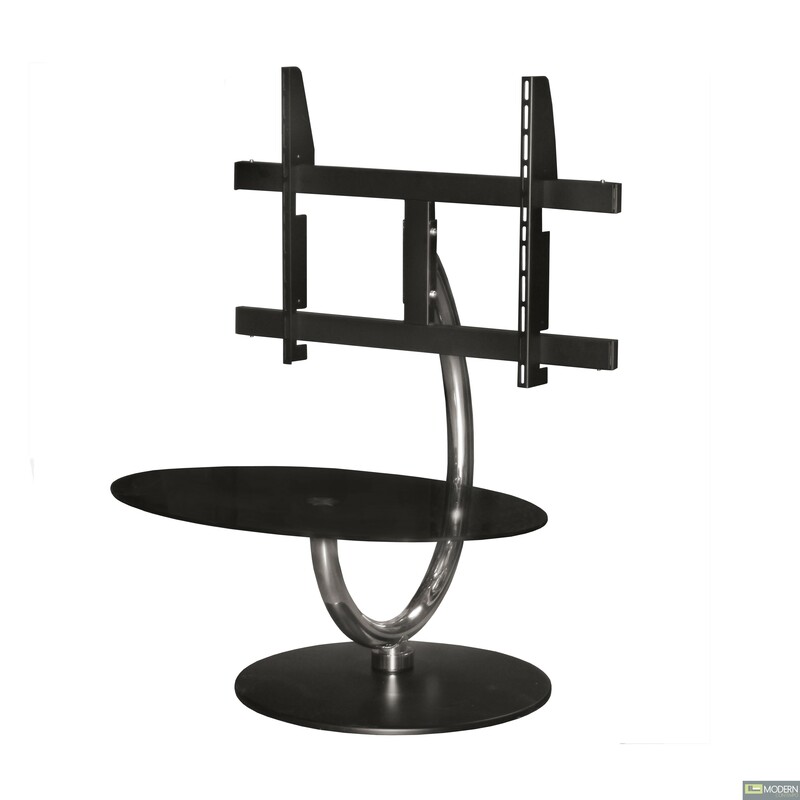 As an added feature, this beautiful TV stand swivels for your viewing pleasure. Some assembly required.